And trust me when I say it, there is no hunger like the first weeks of breastfeeding hunger. I was so incredibly hungry. All. The. Time. Whenever I sat down I made sure that I have some nuts, rice waffles, or muesli bars within arm’s reach. Thankfully it got better (or else I would look like one of those rollin’ safari animals by now…) but I still need proper meals at regular intervals. So imagine my surprise when I learned that many of the other moms in our baby class don’t really have lunch or sometimes even a proper dinner. Over the past few months we have developed some strategies to make decent meals happen and, although there are nights when we make do with some pre-prepared dinners or order takeout, we mostly manage to get some nice food on the table. 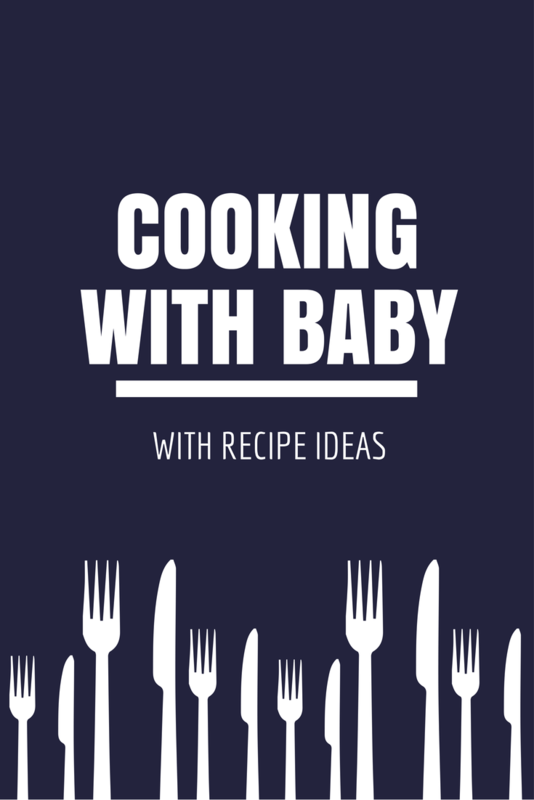 In the first weeks of parenthood cooking with the baby felt like an impossible task so hubby and I would usually take turns: one plays with the baby, the other tries to assemble a dinner. A while later I discovered the awesomeness of babywearing and realized that it’s not difficult at all to cook a lunch (and eat it) while baby is sound asleep in the sling. Fast forward a few more weeks and I could pack an awake Birdy in the car seat and take her to the kitchen with me. These days she usually sits in the car seat playing with a toy while I run a live commentary of the things that I’m doing and sing a song or two. On the evenings when my better half is cooking (we take turns) Birdy and I often keep him company and she seems to enjoy it. But enough about the logistics, let us talk food. Short preparation time or preparation that can be done in steps that can be paused at any time. Can be kept warm for long without damaging the taste. Bonus points if prolonged cooking improves the taste. Extra bonus points if it can be cooked in bulk to reheat the next day or portion and pack in the freezer. Soups and stews – doubling the amount can be achieved with minimal extra work, and they are just as tasty reheated the next day with some nice fresh bread to it (my style) or frozen and used on one of those nights when you just don’t feel like lifting a finger in the kitchen (hubby’s style). Our current favorites are Jamie Oliver’s tomato cream soup and a nice old-style goulash. Sauces – vegetarian or heavy on meat, a good sauce doesn’t take much preparation and can be left simmering on the stove for quite a long time. In turn, some pasta or rice to go with it can be cooked fairly quickly. I’m applying the term “sauce” quite broadly, e.g., the other week I cooked some Butter Chicken Curry and the extra hour it spent cooking only made it better (by the way, I strongly suggest you to browse the site, Stonesoup‘s concept of 5 ingredient meals that can be prepared in 10 minutes is purely awesome). Pasta dishes – pasta dishes are usually quick to put together and there’s so many great recipes out there: Avocado Pasta, Salmon and Spinach Pasta, Basil & Mozzarella Pasta, and many, many more. Sometimes, when we really don’t feel like cooking, we go back to the good old German Abendbrot, literally: evening bread. This means some nice bakery bread and an assortment of cheeses, meat cuts, spreads, and vegetables. That’s all from me, now it’s your turn my readers: do you have any tips and/or recipes for new parents short on time? I think that what you say about preparing food for multiple meals in one go is really the best tip here. It’s also good to have a way of sharing out responsibilities with food and dealing with kids. What my wife and I often do is that one of us will cook dinner while the other one is giving our son a bath and getting him ready for bed. When I was on paternity leave, I was pleased to be able to be around more to do more of the food shopping and also more of the cooking. Since our son’s birth, I’ve generally become the person who does our big food shop at the supermarket. I normally take our son so as my wife can have a bit of a break while I’m doing the shopping.